ABC/Randy HolmesMiguel announced Tuesday he will be an opening act on Sia’s North American tour. The Nostalgic for the Present Tour will kick off September 29 in Seattle and will stop in 22 cities. The tour wraps up November 6 in Austin, Texas. Citi card members have access to a pre-sale beginning Tuesday, May 17 at noon local time through Citi’s Private Pass Program. 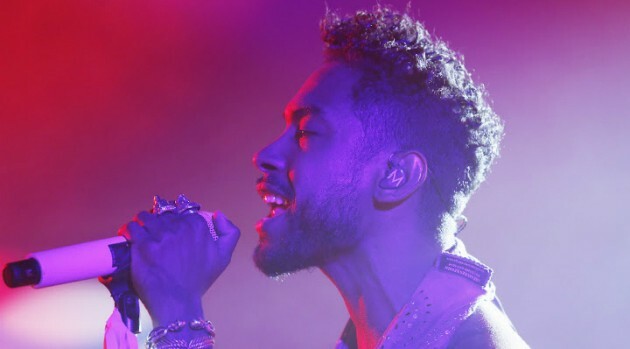 Pre-sale tickets will also be available Wednesday, May 18 at 10 a.m. on ET on Ticketmaster with the code named after his Miguel’s latest album, Wildheart. Tickets go on sale to the general public on Friday, May 20 starting at 10 a.m. ET on LiveNation.com. VIP meet-and-greet packages will include an individual photo with Miguel, autographed poster, limited edition Miguel T-shirt and early entry into the venue.